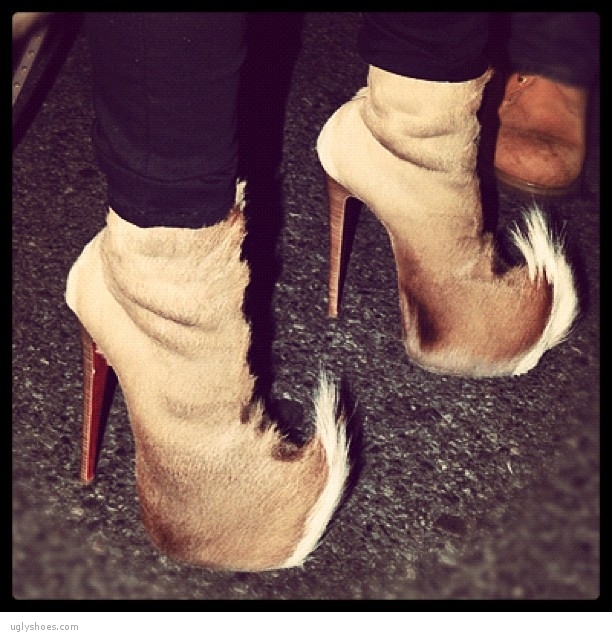 These shoes are made from pony hair. 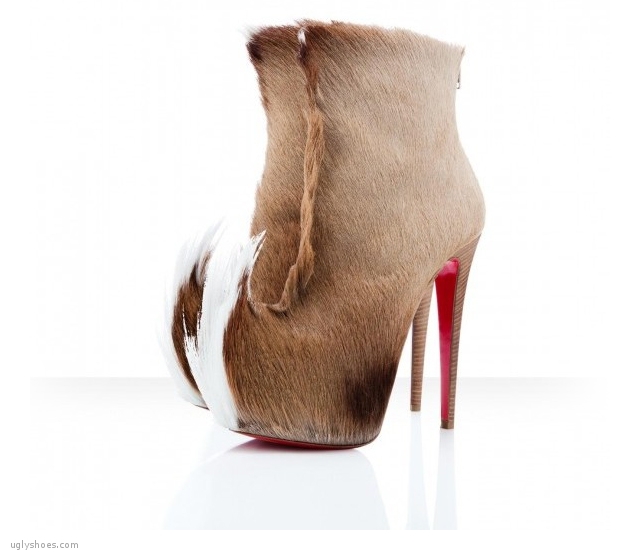 Christian Louboutin calls them “Puck”. See them below worn by Chrissy Lampkin. I always wanted a pony, more about but definitely not like this. Pony hair is made from cow or calf hide that hasn’t been shaved yet. It’s a generic term. Still an ugly pair of shoes though.